12 month calendar. Black & white interiors, color cover. Price: Free! Want to celebrate Quetzalcoatl's birthday? Or the Dalai Lama's? Or the Emperor Norton's? Do you really need to know when the Egyptian New Year starts, or when and what Whuppity Scoorie is? 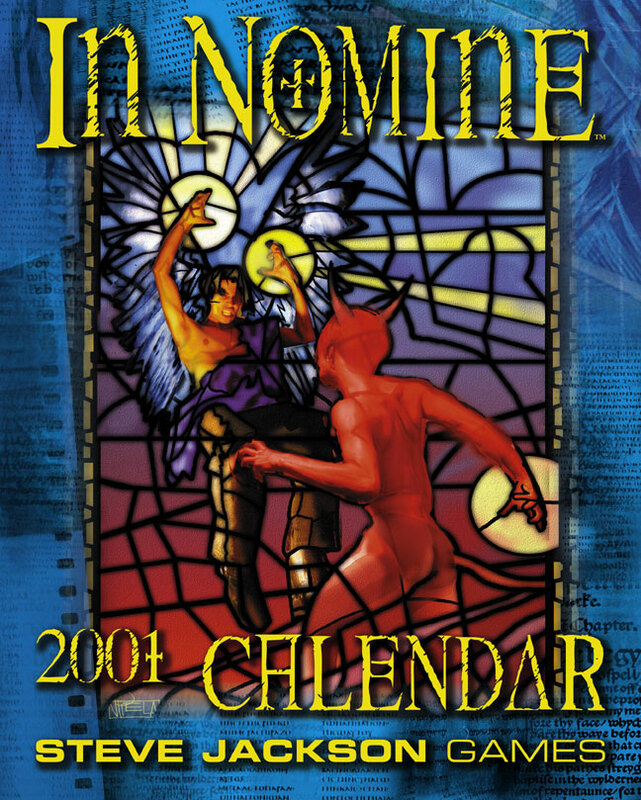 The In Nomine 2001 Calendar features a new color cover by Rogério Vilela . . . twelve beautiful ink drawings by Ramón Pérez . 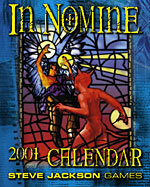 . . and hundreds and hundreds of religious and secular holidays from around the world. There's at least one for every day of the year, collected and annotated by Micah Jackson and Ken (Suppressed Transmission) Hite.